Big Brown Bats are a common species found across much of Canada. In Toronto, I’ve seen their ghostly forms swooping overhead during the summer batwalks that are held in High Park. Painting a bat required the use of specimens from the Royal Ontario Museum as it would be impossible to draw them in the dark outdoors. I had complete access to the bat collection courtesy of Dr. Burton Lim, assistant curator of Mammology. Dr. Lim’s field work involves tropical bat species and he even has a new species of yellow-shouldered bat named after him, Sturnira burtonlimi. 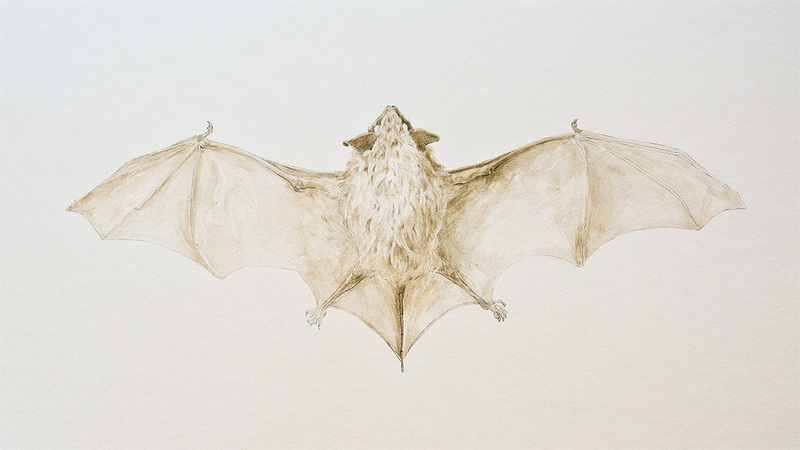 Overtime, I plan to paint all the species of bats that are found in Canada. First bat sketches, ballpoint pen.